Country Music Legends is a quarterly print magazine from Country Music Magazine. Country Music has recently released a 132 page special edition magazine, Country Music Legends, with the first issue focused on the most honoured female country performer of all time, Dolly Parton. Buy a single copy or subscription to Country Music Legends magazine. Country Music Magazine is jam-packed with exclusive interviews, photographs, news and reviews of your country, americana, bluegrass, and country rock favourites. 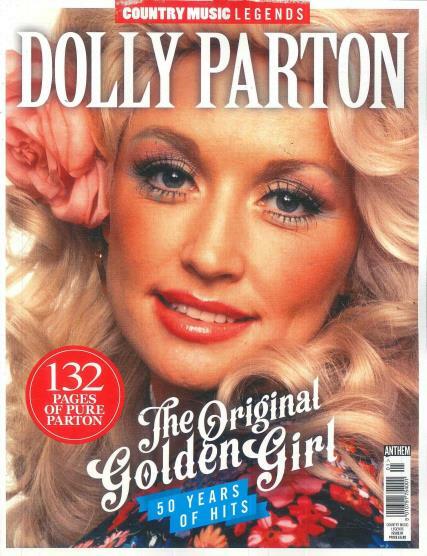 In this issue you will examine Dolly Parton's incredible career decade by decade. In this special issue you can find a detailed exploration into six of her most loved albums through the years – a Top 40 Essential Dolly playlist is also available. Country Mag has very high production values and print on glossy stock with the highest quality photographs.